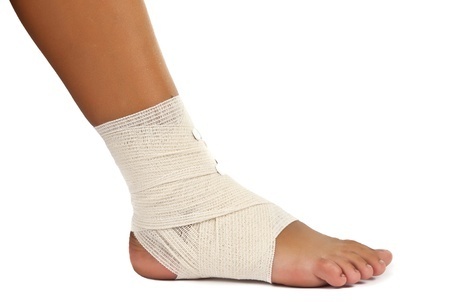 Broken toe, ankle and foot bones are common injuries that we treat at Texas Foot Specialists. Fractures are more complicated than most patients realize. Below are some questions and answers about foot fractures to help you better understand this injury and its treatment. Aren’t broken bones fairly obvious? Not always. Of course there are times when an accident occurs or a heavy object is dropped on a foot and a broken bone is readily apparent. However, even within these acute fractures there are several factors that will determine the treatment the foot doctor will choose. Open fractures are those where the bone protrudes through the skin as opposed to closed fractures where the bone is contained within the skin. Fractures may also be classified as stable, meaning that the bone is broken but still properly aligned, or displaced which indicates that the two ends of the break do not line up. What other type of fractures are there? A stress fracture is a tiny, hairline crack in the surface of the bone. These are usually caused by repetitive stress to one particular spot, a sudden increase in a fitness activity, changing surfaces that you work out or play on or improper training techniques. These breaks usually occur in the bones that extend from the forefoot to the middle of the foot. There are also twisting types of injuries that occur in the ankle that can cause a small piece of bone to be torn away with a tendon. Regardless of the type of fracture, there will be pain at the site of the break, swelling and sometimes bruising. In the case of a stress fracture, the symptoms may come and go, which is why it is not always immediately apparent to patients that there is a broken bone. That depends on the type and severity of the break. If you suspect you may have fractured a bone in your foot or ankle, you should contact our Pasadena, Sugar Land or Houston office immediately. Our podiatrists, Dr. Gregory Mangum or Dr. Bruce Miller, will need to examine your foot and possibly order x-rays or other imaging studies to accurately assess the break. Treatment can range from rest, icing and immobilization to surgery.